The saga of scandals emanating from the global banking sector seems to be endless. Accusations of manipulation of foreign exchange and other paper markets are only the latest in a long series of public exposures, undermining trust in our financial system. Banks play a vital role in a modern capitalist economy, one of creating credit and money, and it is essential we question the social usefulness of their activities. There are clearly serious problems with the sector in its current form. A tiny number of massive institutions dominate the market, and they prefer accumulation of unsustainable paper profits trading with each other and fuelling asset-price bubbles over support for socially useful activity. We need a financial sector that empowers local communities and the Small & Medium Enterprise (SME) sector, the source of most jobs in our economy. That means exploring new business models, better equipped to serve the needs of our society. One type of institutional model that hasn’t as yet made an impact in the UK is that represented by Switzerland’s WIR Bank. The WIR cooperative was created in 1934 by sixteen business people in Zurich who were anxious to address the shortage of credit that was hampering growth during the Great Depression, and has been growing ever since. WIR is short for the word Wirtschaftsring, which means ‘economic circle’; wir is also German for ‘we’. Today the WIR Bank has over 60,000 member firms and assets of over four billion Swiss francs. It is headquartered in Basel, with branches in a number of other Swiss cities. The bank operates its own currency, called ‘WIR’ which is denominated in Swiss francs. After applying to join the WIR system a firm goes through a process which includes assessment by an admissions committee. Once it is deemed credit worthy, the firm may open an account in WIR with the bank, and receive and make payments in the currency. The WIR currency is entirely paperless, and payments are settled entirely through online transfers, cheques or payment cards. The bank charges a small fee, of the order of 1% per transaction, to meet its administrative costs. Shops that are part of the WIR system have signs on their doors announcing that they accept WIR, and is also not unusual to make payments using both WIR and Swiss francs. For example, a purchaser of a washing machine may pay some proportion of the price in WIR and the rest in Swiss francs (and members may hold deposits in both currencies at the WIR Bank). Participants in the WIR system receive catalogues listing firms accepting the currency, and there are trade fairs for members of the cooperative. New WIR currency is issued when new loans are made. This process is controlled by the bank itself, which grants new loans against collateral, most frequently in the form of second mortgages. In this sense the WIR system differs from many other complementary currency systems in which members grant each other credit; this is not a mutual credit system. The WIR bank’s policy is to limit new loans to one-third of total annual turnover in the currency. Whilst the bank originally operated a zero interest policy, borrowers do now pay interest, but at much lower rates than the mainstream banking sector. For instance, at the onset of the current downturn, the WIR Bank issued 100 million (denominated in Swiss francs) worth of new loans, at an interest rate of 0.25%. 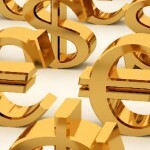 Moreover WIR is a closed system – the currency is not convertible and so must be spent on goods and services. This also means that the value of WIR is fixed, and not liable to fluctuation. The WIR Bank was not an isolated initiative, but was inspired by a network of similar institutions in Germany, called the Ausgleichskasse (AK), which in turn were based on the Danish JAK bank. The AK banks spread throughout central Europe, but only WIR survived beyond the Great Depression – the banks were banned in Germany and fizzled out in other countries. WIR has developed a business model that focuses on the needs of local businesses and that has proved its resilience, thriving in the decades since it was founded. Moreover, the WIR Bank also promotes resilience in the wider economy, with academic studies showing a countercyclical impact of its activities. It will be interesting to see how and where this proven business model will first be applied in the UK.